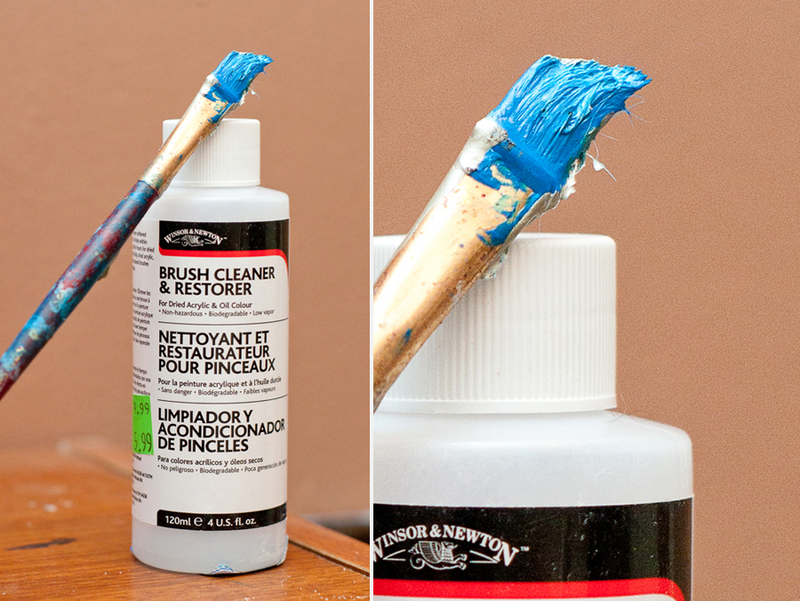 I recently sacrificed one of my cheap synthetic brushes to demonstrate how to restore abused and neglected brushes. I’ll confess that I have a bad habit of leaving my painting supplies lying about. 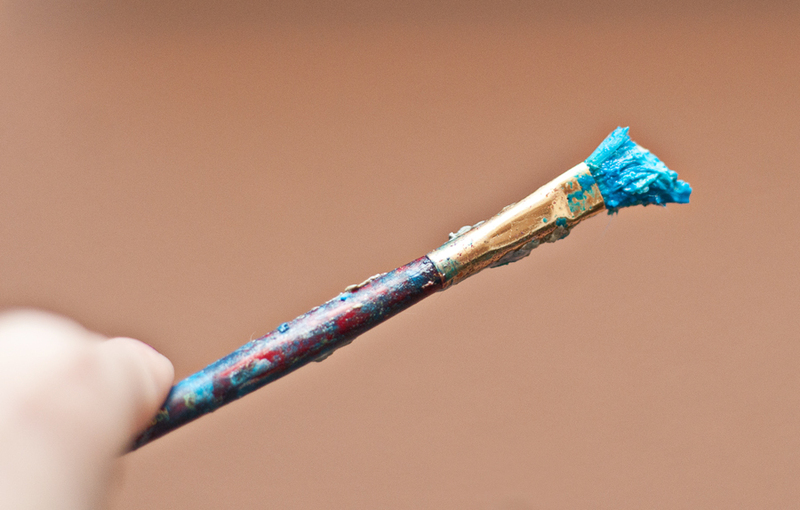 Sometimes forgetting a brush stuck to a palette, finding it days later covered in dried paint. 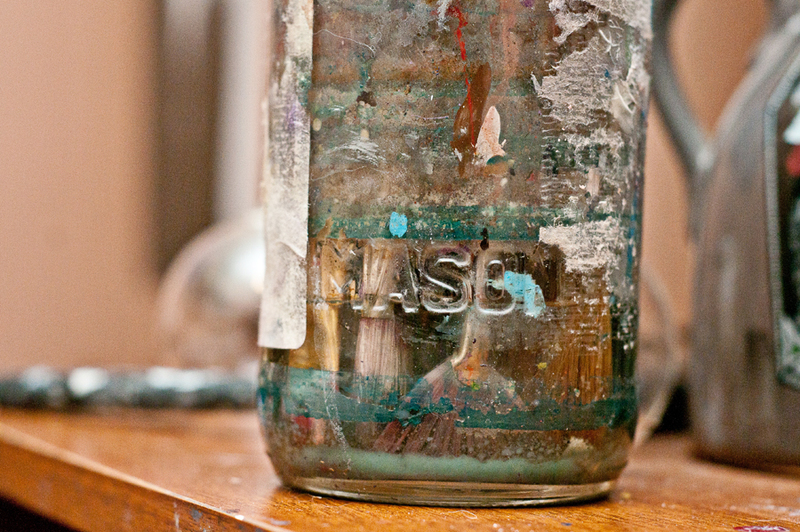 Every once in a while it’s one of my favorites or more expensive brushes so I invest in some cleaner to restore them. 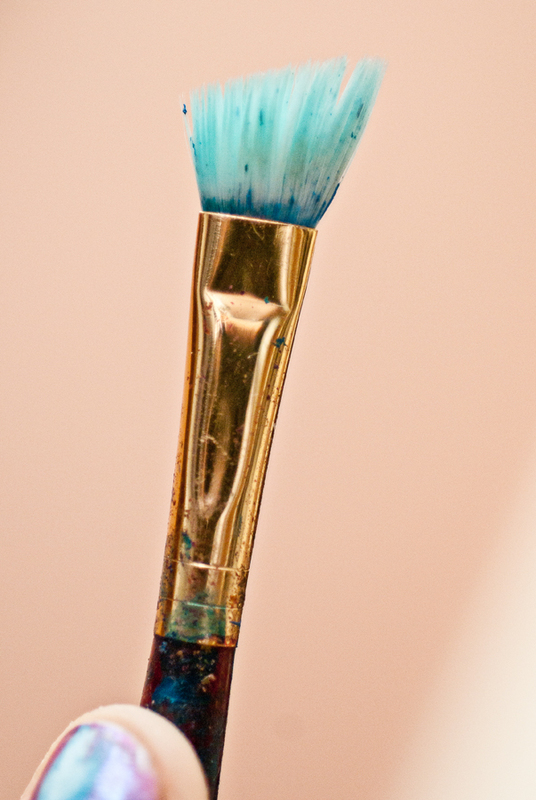 Leave brushes to soak over night in a glass or metal container (DO NOT USE PLASTIC!!) You only need the liquid to cover the bristle. They should look gooey and kinda gross by morning like the image above. 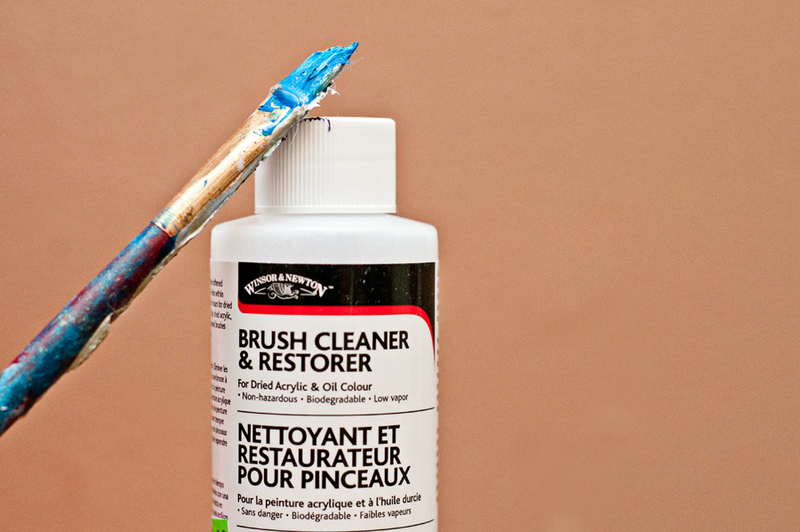 If your brush wash container has an agitator use that to remove some of the paint. The Masters brush cleaner does the rest. 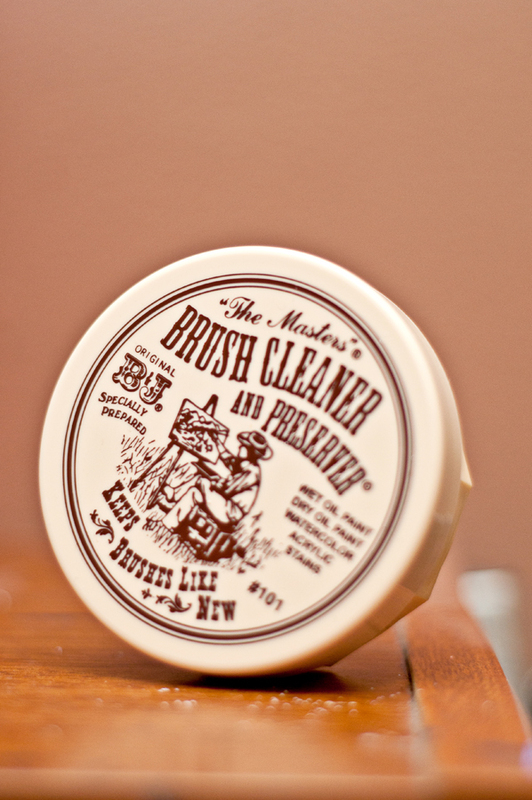 Wash with warm water and create a lather on your brush. Rinse and repeat until it is as clean as it is going to get. Lay brushes on towel to dry. A considerable difference from before. To restore it to it’s prior glory I would go another round of soaking and washing.